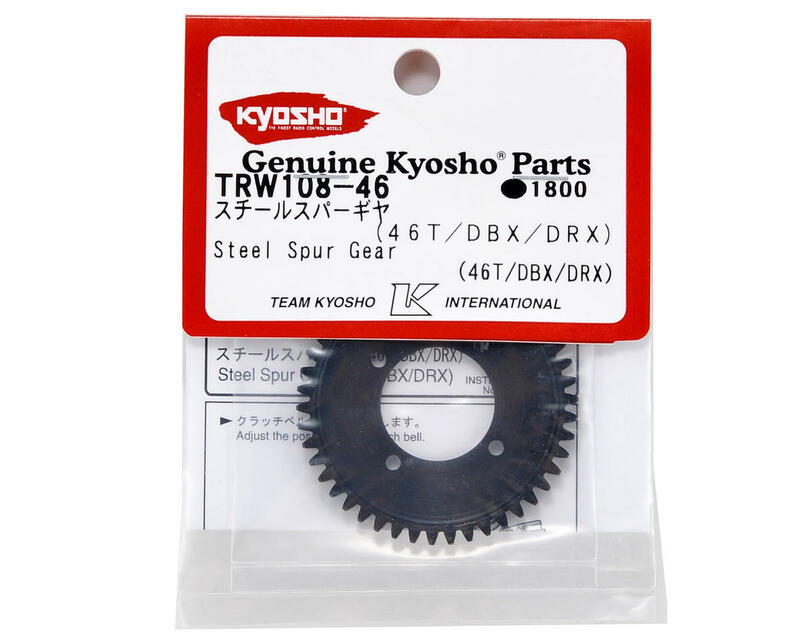 This is an optional Kyosho 46 tooth Steel Spur Gear, and is intended for use with the Kyosho DRX, DRT, DBX, DST and DMT vehicles. 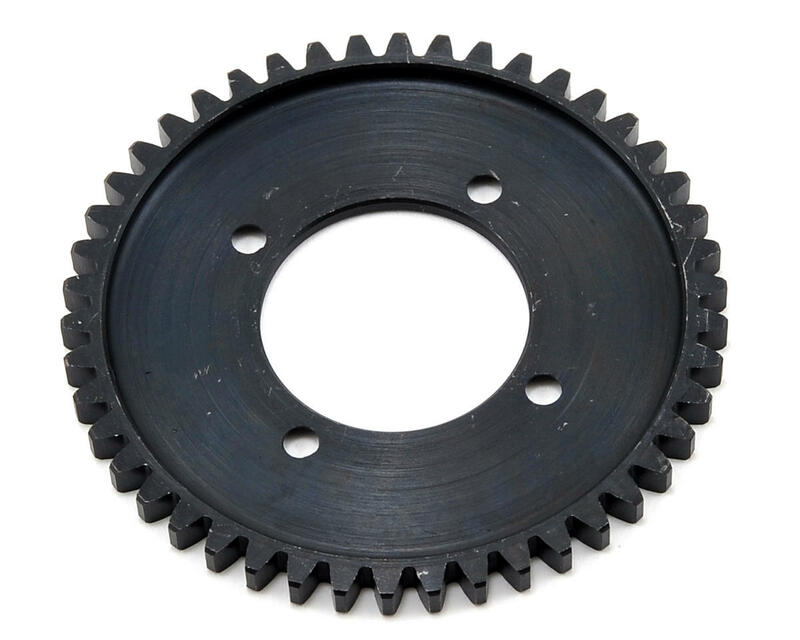 This Kyosho steel spur gear replaces the stock plastic unit improving drivetrain durability. Buy it!!!! !It's better to buy this one time than 2.000 plastic.I had changed 3 of plastics gears because my engine(hpi big block)wanted only 1 run to destoy it! That's what you need, don't waste your money in plastic ones. Just be sure to align your engine and to thight the mounting screws (engine) well, failure to do so, this spur gear will end with your clutch bell gear.